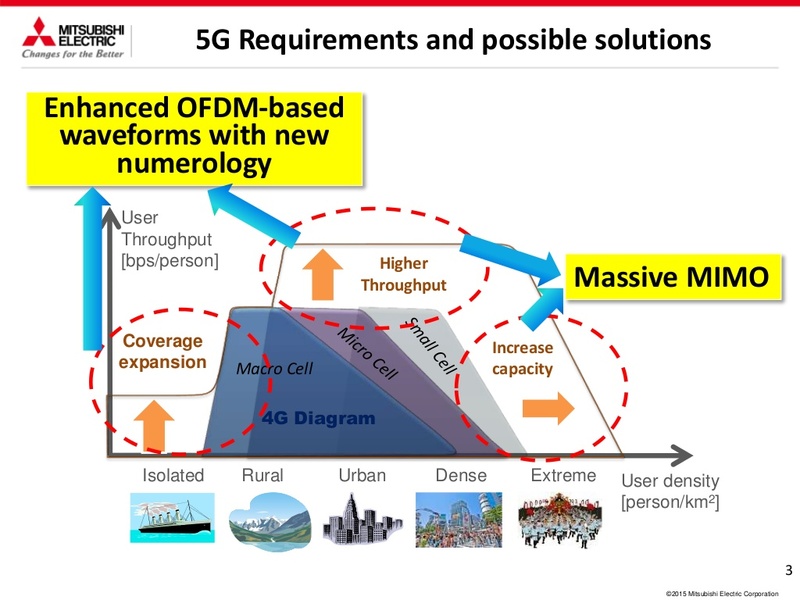 I have finally got round to having a look at some more presentations on 5G from the recently concluded 3GPP RAN 5G Workshop. Part 1 of the series is here. 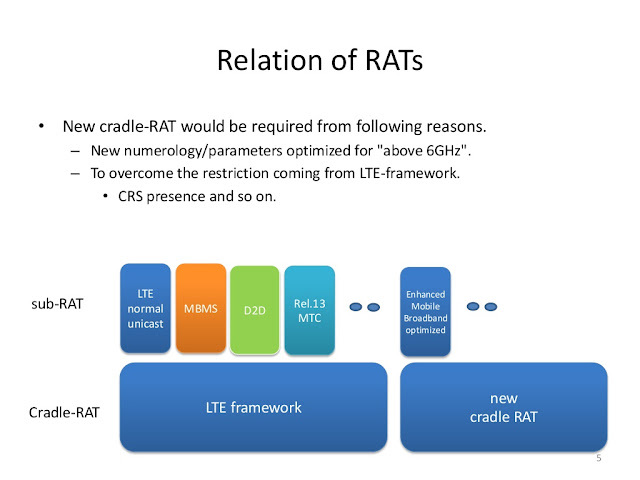 Panasonic introduced this concept of Sub-RAT's and Cradle-RAT's. I think it should be obvious from the picture above what they mean but you can refer to their presentation here for more details. 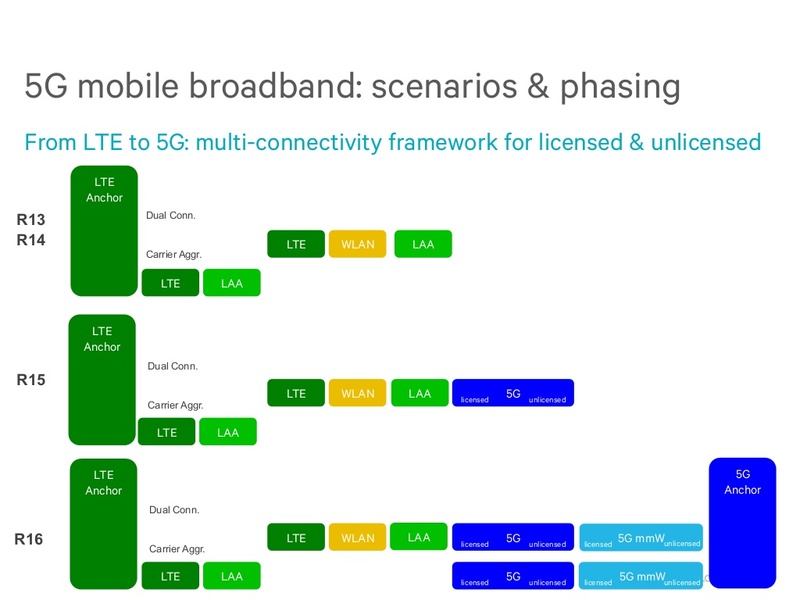 Ericsson has provided a very detailed presentation (but I assume a lot of slides are backup slides, only for reference). They have introduced what they call as "NX" (No compatibility constraints). This is in line to what other vendors have referred to as well that above 6GHz, for efficiency, new frame structures and waveforms would serve best. Their slides are here. 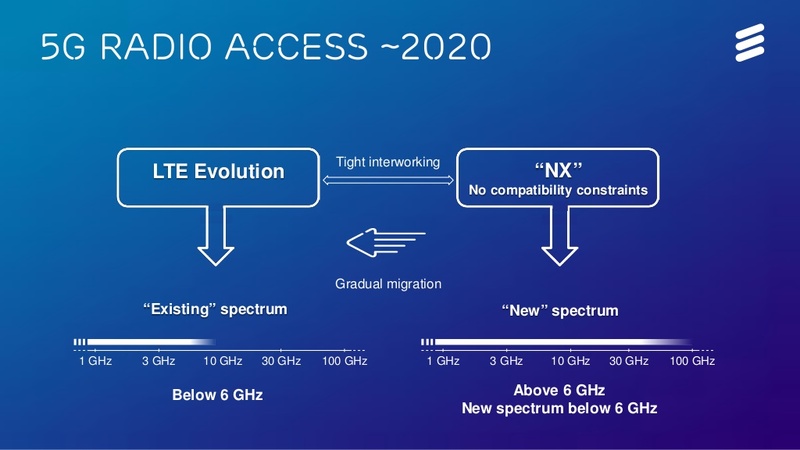 Nokia's proposal is that in the phase 1 of 5G, the 5G Access point (or 5G NodeB) would connect to the 4G Evolved Packet Core (EPC). In phase 2, both the LTE and the 5G (e)NodeB's would connect to the 5G core. Their presentation is available here. Before we move on to the next one, I should mention that I am aware of some research that is underway, mostly by universities where they are exploring an architecture without a centralised core. The core network functionality would be distributed and some of the important data would be cached on the edge. There will be challenges to solve regarding handovers and roaming; also privacy and security issues in the latter case. 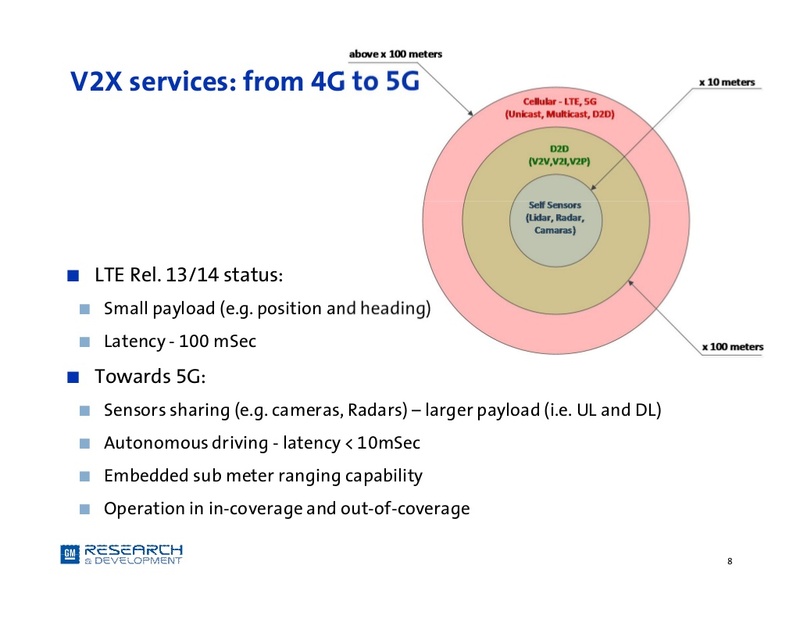 I quite like the presentation by GM research about 5G in connected cars. They make a very valid point that "Smartphones and Vehicles are similar but not the same. The presentation is embedded below. 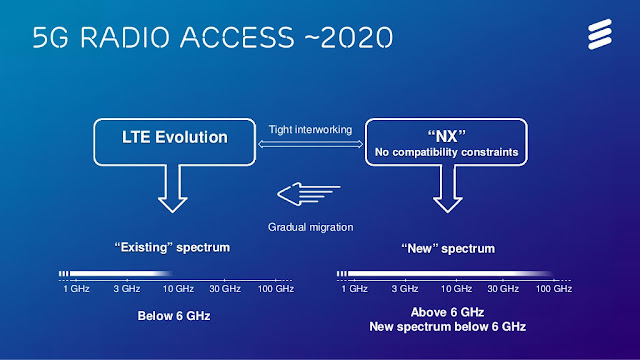 Qualcomm presented a very technical presentation as always, highlighting that they are thinking about various future scenarios. The picture above, about phasing is in a way similar to the Ericsson picture. It also highlights what we saw in part 1, that mmW will arrive after WRC-19, in R16. Full presentation here. The final presentation we are looking is by Mitsubishi. Their focus is on Massive MIMO which may become a necessity at higher frequencies. As the frequency goes higher, the coverage goes down. To increase the coverage area, beamforming can be used. The more the antennas, the more focused the beam could be. They have also proposed the use of SC-FDMA in DL. Their presentation is here and also embedded below.